I drag my cousin along with me, purveyor of fine eating, particular things of the under the sea persuasion. It becomes increasingly clear that having a menu made entirely of your favourite food group takes an indecisive nature to an all new level. 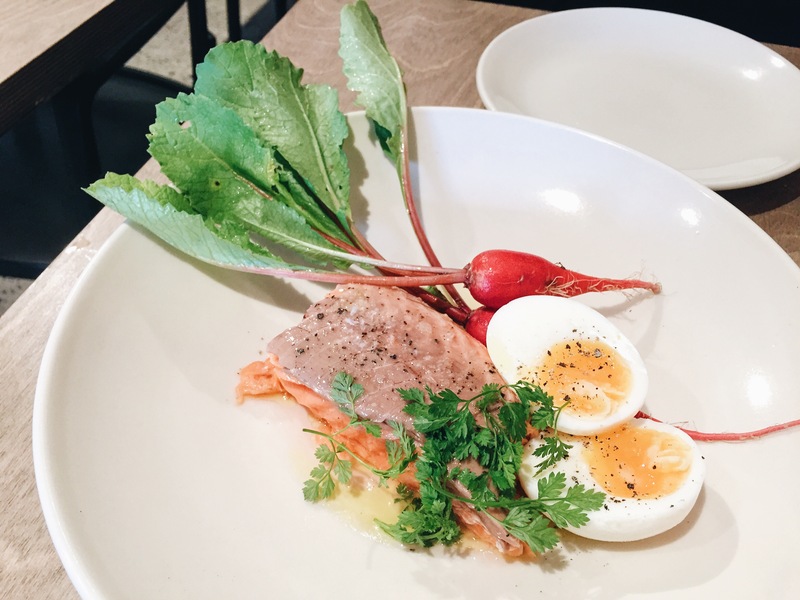 We agree to agree on the ocean trout. It arrives looking plump and tender. Applying the fork test, the flesh quivers slightly before falling apart. Perfection. Egg and fish pairings in my opinion are also a love story better than Twilight, evidenced in Devon’s legendary Breakfast with Sakuma’s. The raw turnips are a little odd but the crunch and lightness are what lifts up an otherwise heavy dish. Bread to fill us up turns out to be a better decision than I expected. Bread is from Berkelo and has an excellent crust to fluffiness ratio. 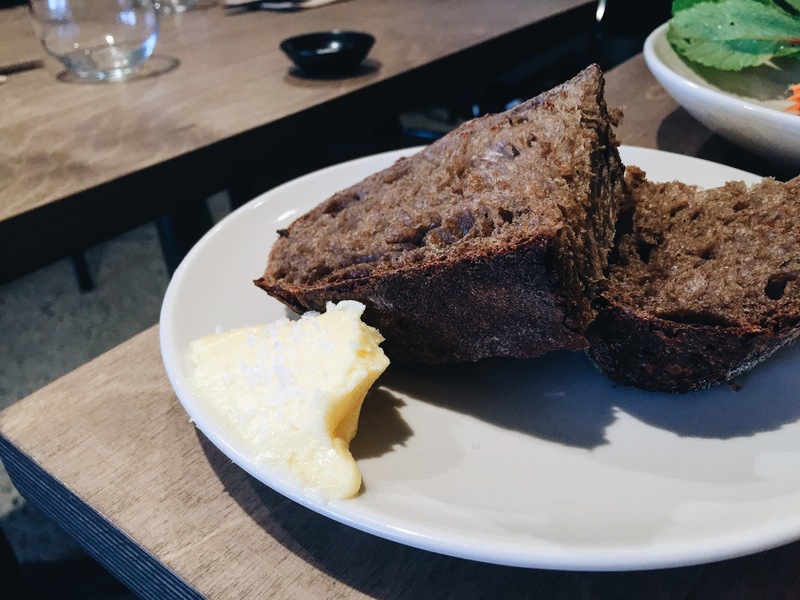 Goddamn do I love a good piece of dark bread too. The butter is also excellent and I love how it glitters with salt sprinkled on generously. 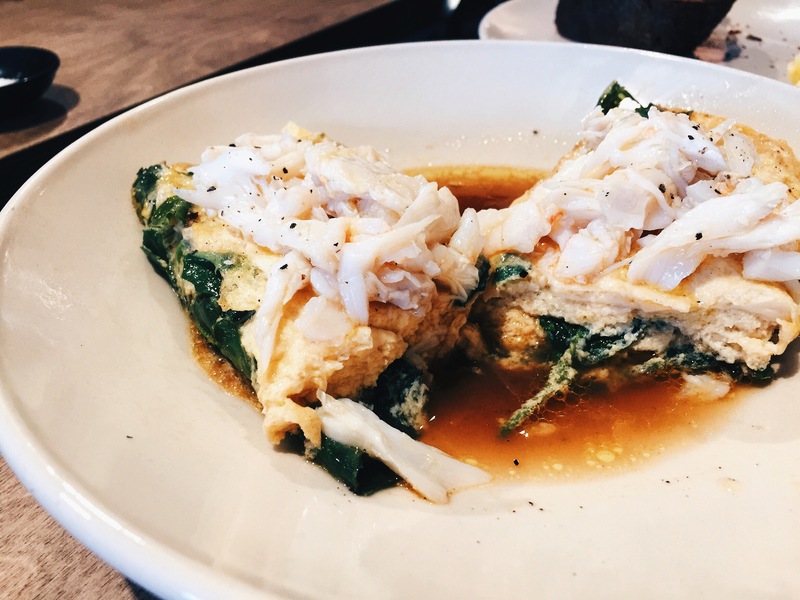 The crab omelette reminds us of Luke Mangan’s Glass Brasserie. It’s just as good although Mangan’s has that extra tang from his Thai spices. The crab meat is hand picked and spread across the egg generously. I really want to make this at home. The best part is truly the broth at the bottom that deserves its own spot on the menu. 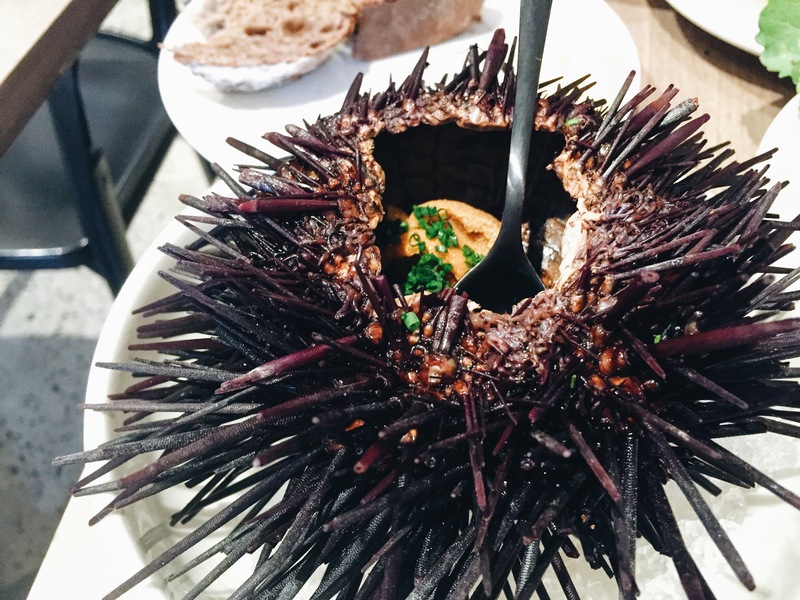 The main attraction is of course the sea urchin. It’s almost sad that we had to share, never making that mistake again. The first piece is always to sample it in isolation and it’s exceedingly fresh with only the lightest enhancements by chives. I love that it kept its form yet melted into a creamy mess on my tongue. This is how seafood should be, I think. Proud until the moment it surrenders itself to me. 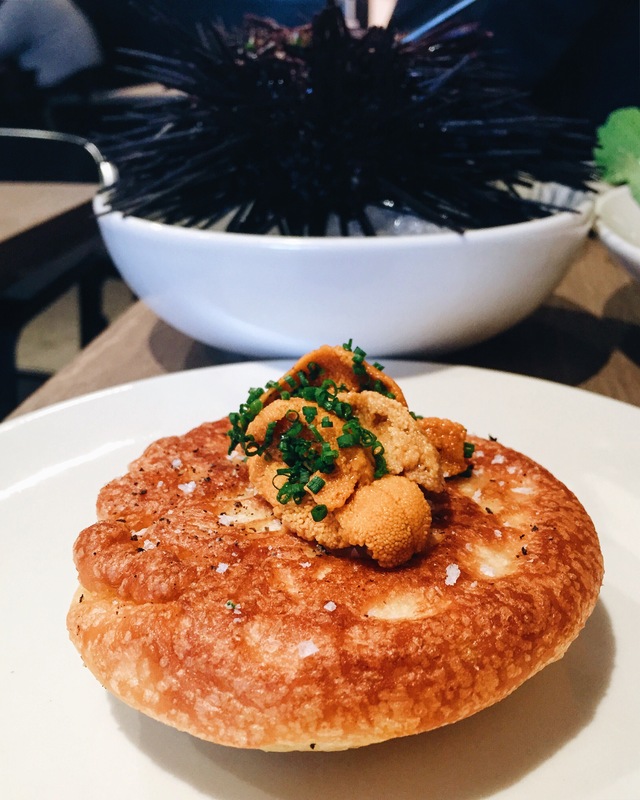 The crumpet deserves an honourable mention too for being crispy on the outside and cloudy on the inside, the perfect vessel to transport the rest of the sea urchin. Not satisfied with just being content, we push on to explodey point for our stomachs. A serve of fish and chips is in order, after all that’s what St Peter really is about at the end of the day. 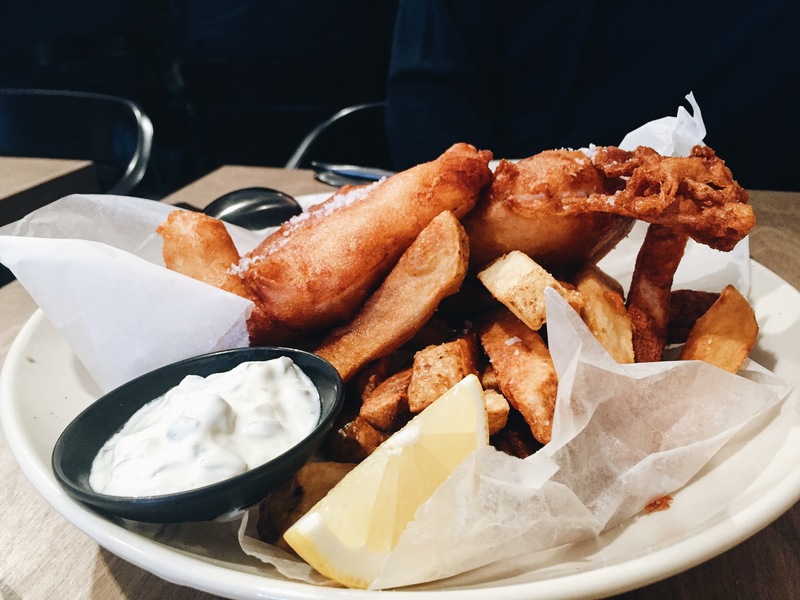 It’s amazing what a good piece of fish battered well can do to a classic and humble meal. It’s on the pricier side of course but these aren’t basa fillets. We close the meal with a palate cleanser of chips and aioli. Saint Peter will leave you feeling like a king with the minute bites of indulgence. For me, it’s more sometime food and I’m not just saying that because of the price point. I want to keep this feeling of ‘treat yo’self’, of being the kind of person to have brunch in Paddington, of feeling like royalty, for my special visits to Saint Peter.